Its original name being DLF Shopping Mall, the DLF City Phase I Market is Gurgaon’s first actual mall, just not the sophisticated, air conditioned kinds. It’s located on DLF City Phase I’s Arjun Marg and lies very close to the Grand Mall. The nearest metro station is Sikanderpur. Read on for exactly why you should drop by this particular haven for all your staple needs! This market is not sprawled over a huge area, but still manages to provide almost everything that one would look for in a regular marketplace, and then some. It has more parking space than most markets of this size with two big parking lots on two sides, one on the back side and an underground parking lot as well. The front portion also has a pickup and drop area just like most malls do. Except a cyber café, you’re most likely to find everything for your daily needs here. 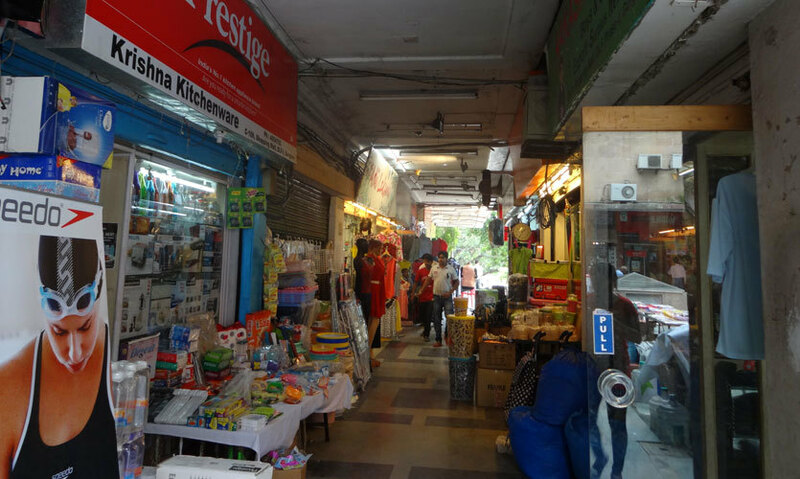 The most famous shops of this market are Modern Bazaar and Sukh Sagar. Part of the popular chain, Modern Bazaar is a huge departmental store giving you all sorts of breads, meats & frozen food items imaginable, while Sukh Sagar is a small eating joint which is extremely famous for its samosas and kachoris. There’s also a departmental store called Garg Dastak underground as well. The market has a number of small clothing shops and is sprinkled with cafes, sweet shops and bakeries. Most big bank branches and ATMs can also be found here. There are two small rectangular open spaces in the centre of the market. These open spaces have tables and seats for people to sit and eat or wait because there are a lot of small scale food joints that don’t have their own seating area. You are also likely to bump into a few tailors who are just sitting in the middle of nowhere with nothing but a table and their sewing machines in tow. Don’t worry though, they are known and reliable and will not disappear with your stuff overnight! All the shops and restaurants are spread out on the ground and first floor of the market. 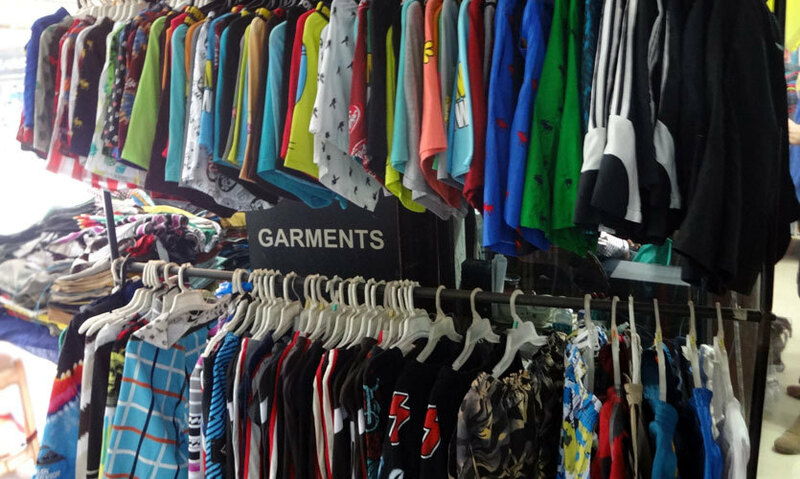 This market has always been popularly known as the export surplus market of Gurgaon, where you can get branded apparel at dirt cheap prices. However, the latter isn’t true anymore, because even though it is still a big export surplus market, the prices have rapidly and suddenly shot up! The shopkeepers act like they’re selling you something from a showroom or factory outlet and try to act like they’re doing you a big favour by reducing the actual would-be factory outlet price by a trivial Rs 150-200, however, it undoubtedly remains one of the most convenient and reasonably priced markets in Gurgaon. According to our own new definition of malls, it may not live up to its original name - DLF Shopping Mall, but let’s not forget that this was built when there were no malls in Gurgaon! 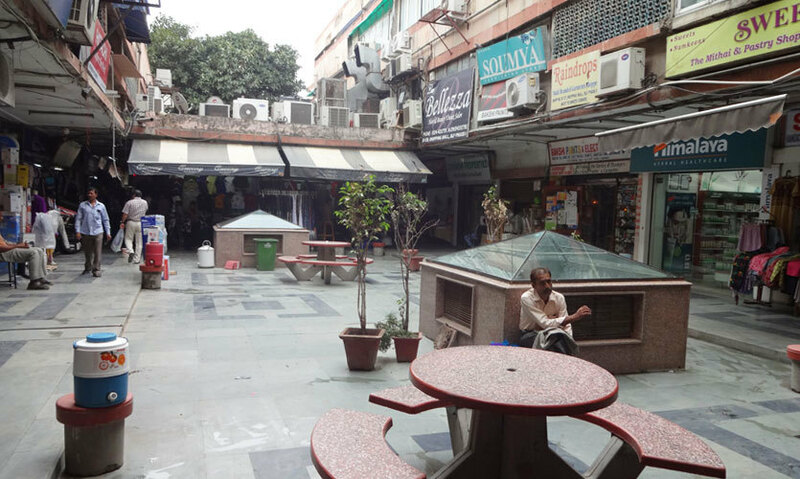 A little cleanliness and some better maintenance would surely do wonders to the market. Come on over anytime you need your groceries restocked or are just in the mood for some kachoris!